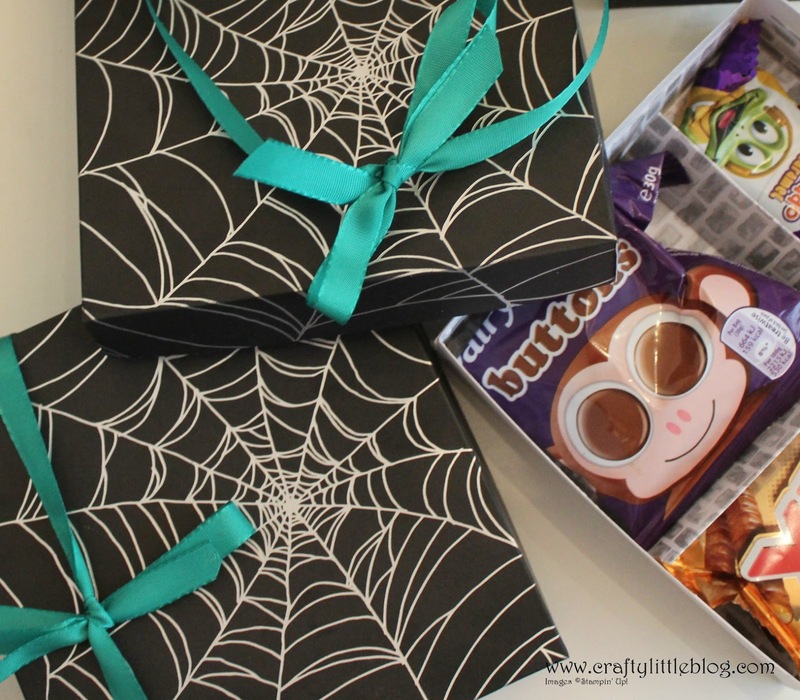 How do you like this gorgeous spider web lidded box which has been sectioned out to fill with Halloween goodies? It can be used to gift sweet treats or jewellery, make up anything Halloween themed. It's made using retired and current Stampin' Up! products and could be adapted easily for Christmas or for any occasion. The main box and lid are pretty standard, simple and straight forward but you may want to watch the video on my You Tube channel to get the divisions and box lining right. I make it up as I go along so enjoy doing that with me if it's your thing and you like to see how ideas turn into finished projects. For the box you will need a piece of 8 x 8 inch cardstock or DSP scored at 1.5 inches on each side and for the lid you will need a piece 7 x 7 scored at 1 inch on each side. To ensure a good fit of the lid you can either add a sixteenth of an inch to each side when you are trimming your paper or you can slide it along your score board before scoring so that the left side is about a sixteenth of an inch from the edge before scoring at 1 inch. Thanks for joining me for my Halloween projects I've had lots of fun making them all and it's not too late to put that stash to use and make some yourself.